Built-in ANSI or user-defined tolerances for precision alignment to standards for quality assurance along with PDF documentation with images which can be stored, emailed, attached to work order in CMMS system. Base Twist/Flatness measurement for precision installation. Shaft alignment of horizontal and vertically/flange mounted machines, unlimited machine trains plus measure soft foot, bearing clearance, and more. 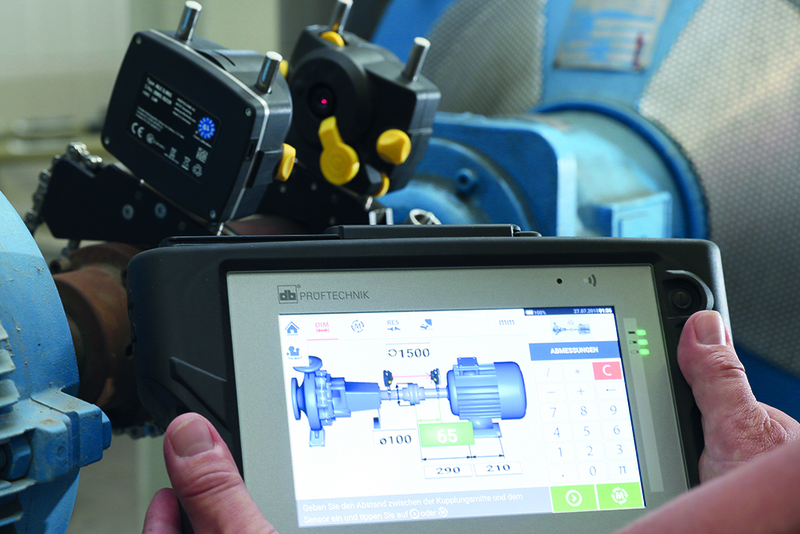 XT Alignment App offers freedom to move seamlessly between hardware platforms: IP-66/67 alignment computer, IOS or Android smartphone or tablet. 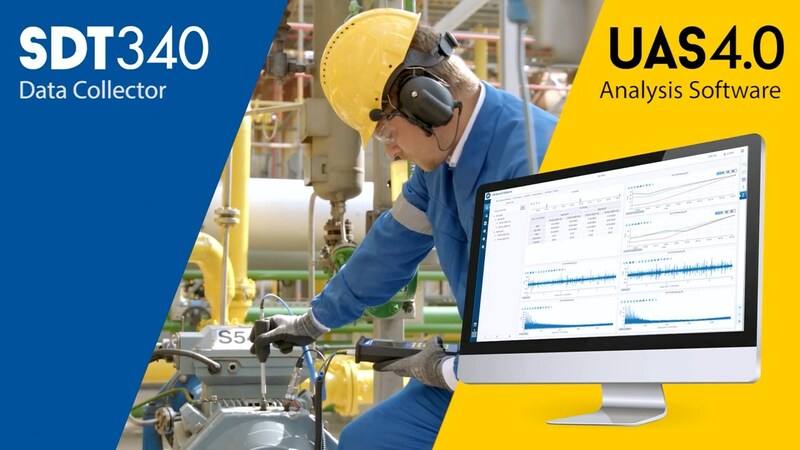 Asset Condition Management with XT770 directly contributes to Uptime® Elements Ab, Re, De, and Aci. Eliminates defects due to misalignment or improper installation. Accurate and easy, making it straightforward to train personnel and implement an alignment program. Precision alignment with XT770 increases reliability, efficiency and profits while reducing repair expense and downtime. 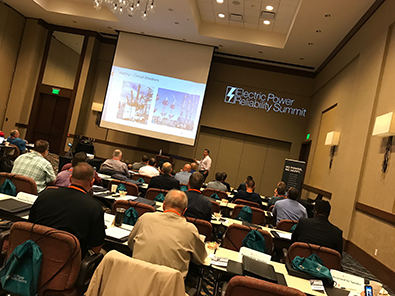 The Electric Power Reliability Summit (EPRS) brings together reliability practitioners from industrial and commercial organizations to focus on applying reliability standards to the electric power system. Attendees will spend time with resource providers from the IR, electrical testing, and monitoring disciplines, and will interact with experts form each major asset class within the High Voltage electric power system, including transformers, cables, breakers, and relays and protective equipment. This three-day event uses breakout sessions, panel discussions, and interactive presentations to lay out best practice roadmaps for electric power reliability. This practitioner-to-practitioner event, which led to the launch of the Electric Power Reliability Alliance, will be hosted by the University of Texas at Austin’s Center for Electromechanical Research. A tour of the facility is an integral part of the event. Fosters a community of practitioners focused on sharing insights. Creates awareness and understanding of the criticality of electric power. Establishes leadership roadmap for applying standards to all asset classes. IRISS FlexIR Custom Infrared Windows are the only UL Listed custom windows commercially available. The patented reinforced optic is flexible lending to manufacturing capability for any size, shape or color needed for your unique applications. Poly-View System™ technology provides viewing capability in the visual, UV and infrared spectrum. 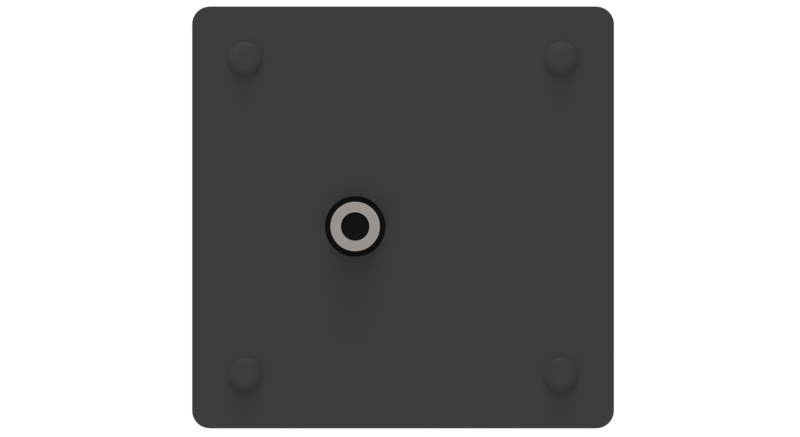 Partial Discharge Sensor Ports can be added to provide ultrasound inspection capabilities. Polymer inspection windows are unaffected by environmental or mechanical stresses and Fixed and Stable Transmission (FAST) is maintained for the life of the product. 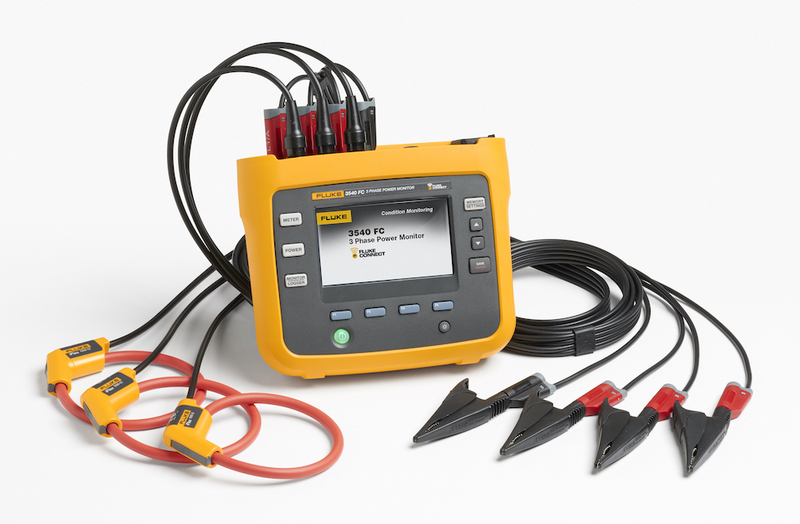 This unique product enables previously “uninspectable” electrical assets to be safely inspected while under full load conditions. We have an extensive library of custom panels for many OEM equipment designs but can also work with our clients to quickly develop new design prototypes via 3D scanning or can manufacture a custom window or a custom replacement panel to drawings provided. 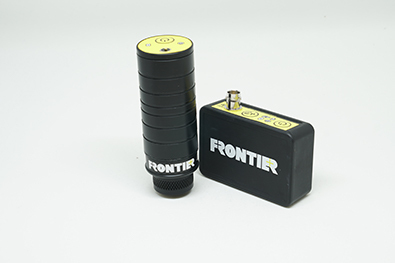 Frontier brings wireless vibration data collection to any portable data collector, making walk-around vibration data collection faster, safer and easier! 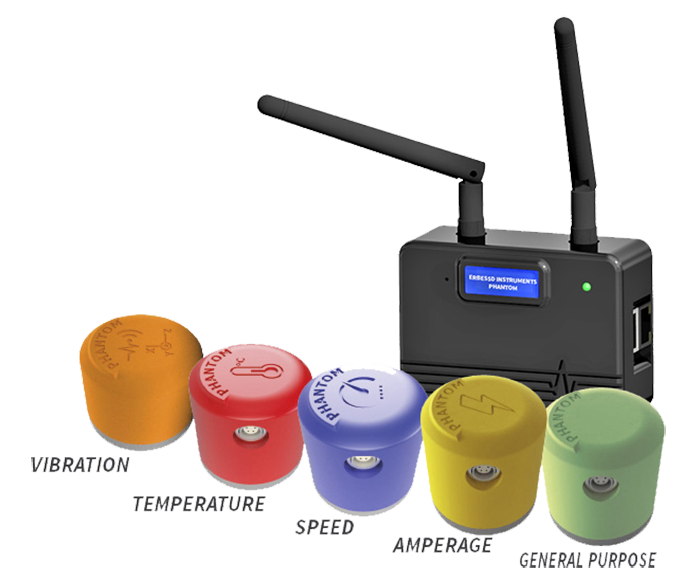 Simply screw the battery-powered Sender to any 2-pin ICP-type accelerometer and connect the corresponding Receiver to the analog input on your data collector and the high-resolution signal from the accelerometer is streamed to your data collector just as if you were using a standard cable. But now there are no cables to get tangled in machines or to trip over, and no more misleading data due to faulty connections. Frontier even includes support for Bluetooth listening headphones, so you can listen to the vibration data as you are collecting it. Best of all, you don't need to change anything about how your data collection is configured in your desktop software or on your data collector itself - Frontier lets you acquire vibration data just as if you were using a cable. Walkaround Data Collection is Safer! Walkaround Data Collection is Faster! Walkaround Data Collection is Easier! 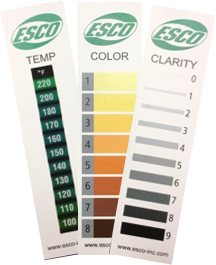 Esco developed new visual tools to assist operators in monitoring the condition of their in-service lubricants. 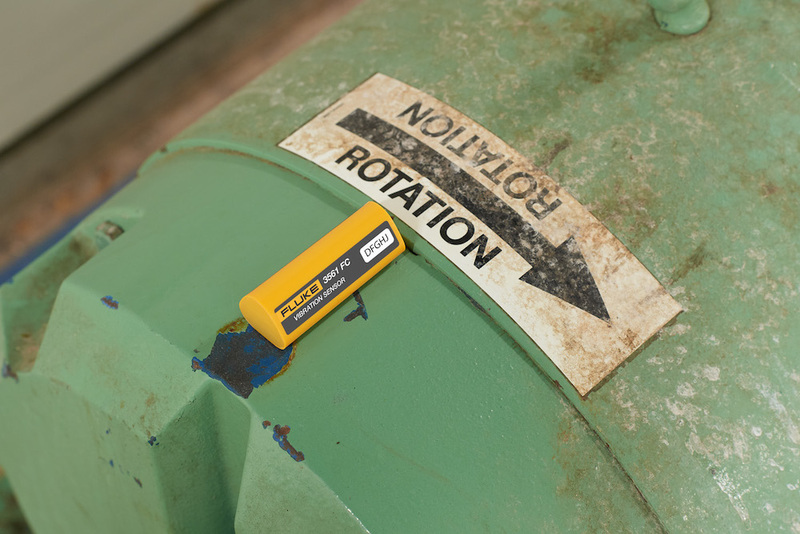 The Esco Magnetic Oil Monitors, also known as the MOM, are a kit of three magnetic strips that adhere directly to equipment, providing a real-time and quantifiable scale with which operators can track an oil’s color, clarity and temperature. While laboratory tests exist to identify an oil’s color and clarity, it requires operators to take an oil sample, send it to a lab, and await the results. While laboratory tests are more accurate than an operator’s ability to visually monitor these changes, the time and expense required to perform these tests for all in-service equipment is prohibitive. The Magnetic Oil Monitors give operators the ability to identify these changes themselves and take immediate corrective action. Identify lubrication issues early to prevent downtime and costly equipment failures. Easy-to-install and minimal training required; start tracking changes in oil condition immediately. 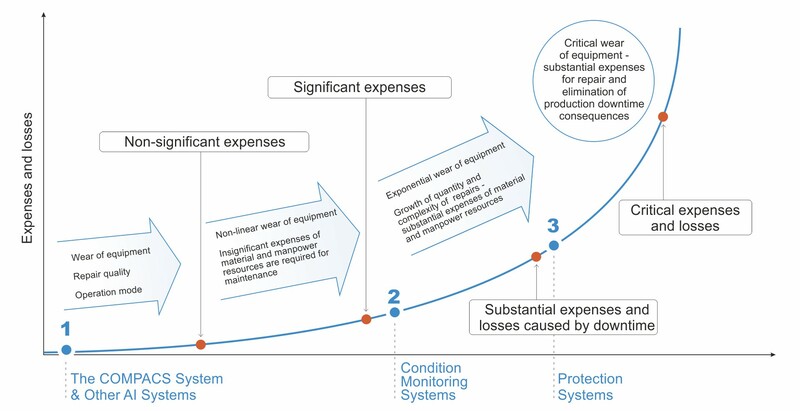 Low cost to implement and high return on protecting machine longevity. 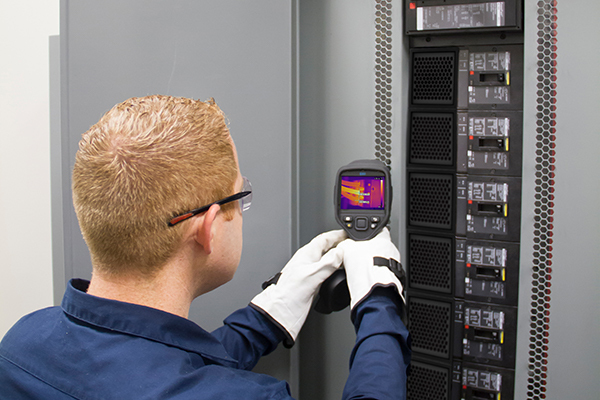 Partial Discharge Sensor Ports (PDS) are used in conjunction with handheld ultrasound measuring devices allowing the user to listen to or record ultrasound dB readings from equipment. The PDS is a 40kHz airborne ultrasound sensor with an IP10 (NEMA1) rating for indoor applications. The VPDS is a 40kHz airborne sensor with an IP65 (NEMA4) rating for either indoor or outdoor applications. Both models contain a 3.5 mm female adapter for connection to a handheld ultrasound device. 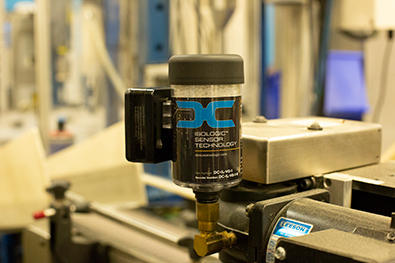 PDS Sensors can be incorporated into maintenance inspection windows. 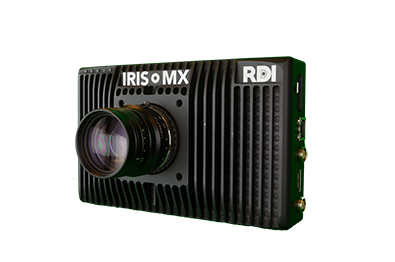 The Iris MX from RDI Technologies expands upon its revolutionary Iris M product to open up the world of Motion Amplification to high speed applications. With up to 1400 FPS in HD resolution you can now amplify and communicate virtually every displacement in the scene in real time. Leveraging a high-speed camera for frame rates over 10,000 fps, the Iris MX's most unique capability is the ability to amplify and show motions up to 5,000 Hz and produce an infinite amount of absolute measurements within the scene. The Iris MX enables the user to see the fault by visualizing the motion of the entire machine, its structure and base, and surrounding environment to determine the root cause. This enables the users to quickly and comprehensively diagnose machinery in a simple and easy-to-understand video. This video can be used to close the communication gap between technical and non-technical resources and empowers them to fix problems. 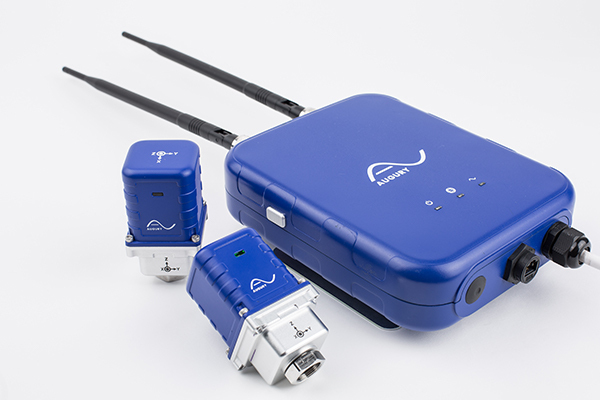 The Iris MX is high-level analysis in its' simplest form. Optimize the speed, ease and precision of all your daily alignment jobs with PRUFTECHNIK’s OPTALIGN® touch. Critical to any reliability team, the OPTALIGN® touch brings the precision of PRUFTECHNIK’s sensALIGN® 5 sensor-laser technology and powerful features necessary for every day alignment jobs to a new touch interface. The handheld device includes: automatic evaluation of the alignment condition, soft foot correction, InfiniRange® (handles any amount of misalignment), flip machines functionality and more. Combined with the detector extension capability InfiniRange®, there is no need for pre-alignment as it is always possible to measure the initial alignment condition, no matter how big the misalignment is. Furthermore, live corrections of the machine can be started at any sensor clock position after the measurement shaft rotation. Built for the grind of every day maintenance needs, the OPTALIGN® touch provides the flexibility for teams to customize and upgrade features as needed. Open architecture means for the first time all sensor raw data is available via our API and DLL for easy integration into other systems. In addition ERBESSD INSTRUMENTS Digivibe software database is the only completely open database available to the predictive maintenance community. Not only does ERBESSD set the standard using SQL for our underlying database we have made our database schema completely open for users to query and map to as they see fit. The COMPACS System monitors all machinery of entire refining facilities and by utilizing a patented Artificial Intelligence it generates real-time prescriptions and predictive analytics that prevents malfunctions and defects in particular machines with a probability 97-98%. The system is developed based on patented artificial intelligence that diagnosis all possible machinery malfunctions which can be detected using vibration analysis by measuring periodic and noise components of most informed bands of signals. The system provides monitoring of lifespan of every machine at the unit, and gives a possibility to get: Accident Free Operation, Longest Possible Uptime, Shortest Possible Turnaround, Reasonable Maintenance Cost. More detailes at www.usadynamics.com. 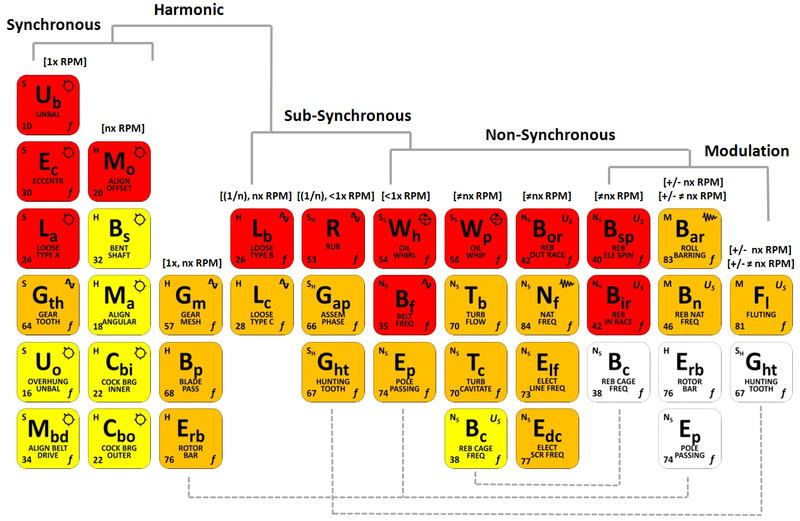 The Vibration Fault Periodic Table Interactive Training concept was designed to introduce a logical framework and sorting mechanism for the complicated vibration analysis world. This is not a replacement for traditional ASNT and ISO vibration training. Rather the table itself and the associated online training is meant to enhance the student’s exposure to seminar concepts in a self-paced and self-directed manner. The On-line training was designed as a self-paced and self-directed format for understanding and classifying fundamental machinery vibration faults in as much detail as desired without having to follow a direct path to get there. A hyperlink network maps each of the 35 fundamental vibration faults along 13 attribute set sub-categories. The material is enhanced with actual machinery data, numerous real-life case histories and animation examples. The full package includes over 900 pages of information with several thousand convenient hyperlinks. Provides an overview of vibration concepts for management and supervision. 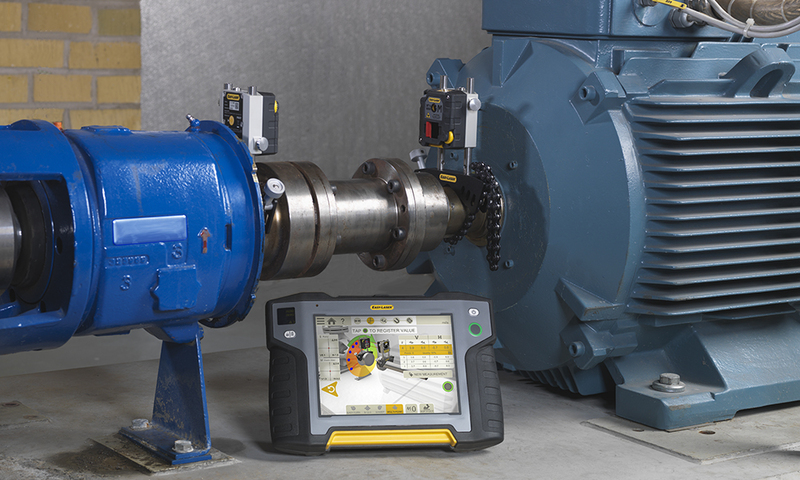 A tool for identifying and mapping rotating machinery faults. Provides a library of information for a self-paced "learning" journey.